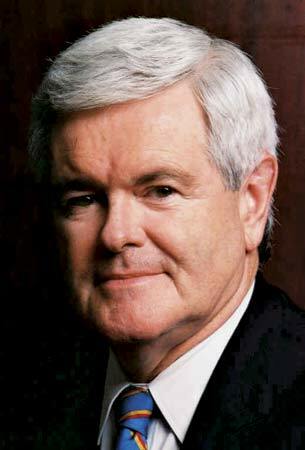 Gingrich said on Sean Hannity’s Fox show last night that he expects to be a candidate at the end of his exploratory committee’s work. Gingrich also talked about what he would do as President. He discussed spending cuts, and called Obama’s budget a joke. Gingrich criticized Obama on education and Democrats in New York who are planning on solving their budget crises by avoiding a union fight and firing the newest most energetic teachers. Gingrich signaled that he would favor a major and permanent tax cut and suggested that the two year extension of the Bush tax cut is what is responsible for economic growth and lower unemployment so far this year. Gingrich discussed foreign policy as well as energy. Gingrich talked about Obama’s backwards response to Egypt and Libya and said that he would support every form of American energy including oil and nuclear.